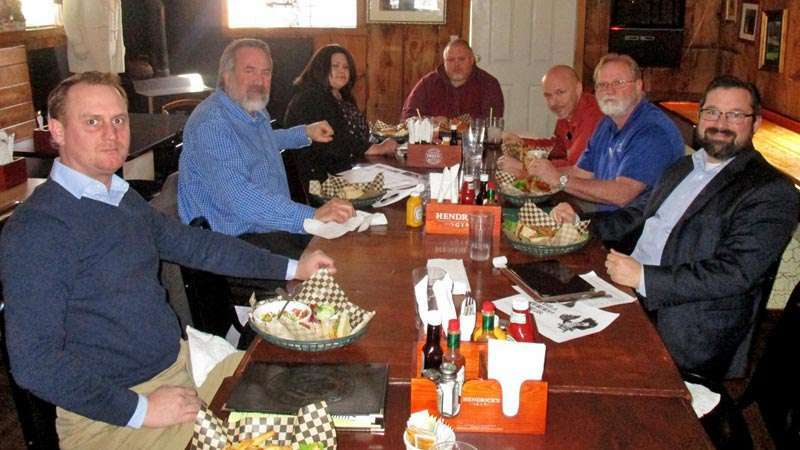 Numerous county veterans have been meeting together for several months under the heading of the Plumas County Veterans Collaborative in an attempt to improve veteran’s services and most particularly health services for Plumas County veterans. County Veterans Service Officer Jimmy LaPlante and Ryan Rogers, with the Plumas County Department of Behavioral Health and also a veteran, have been the go to folks for this group. On Thursday, March 29, Congressman Doug LaMalfa set aside some time in his travels around California Congressional District 1 to meet with some of the people involved with veteran’s issues in Plumas. Over a lunch at the Ranch House Cafe in Chester, the congressman spent about two hours listening and taking notes on possible ways to improve access to veterans’ healthcare in this rural county. LaMalfa and his Chief of Staff Mark Spannagel were quite knowledgeable about the VA healthcare system and were understanding of the hurdles to access as related by local veterans. The veterans attending the meeting included LaPlante; Rogers; Scott Quade, with Plumas County Probation; and Gregg Scott, adjutant for American Legion Post 664. All of the veterans suggested improvements that should be considered. They agreed that there are numerous flaws in the system especially in the registration and delivery of benefits and LaMalfa agreed to take the concerns back to Washington. One item that LaPlante stressed for veterans in Plumas was the false idea many veterans have that they shouldn’t sign up because it might take away services from another veteran who needs it more. He stated that in actuality the opposite is true. Quantity of services is based on the number of veterans registered in an area. “The more veterans registered, the more services allocated; the fewer veterans signed up, the fewer services available.” said LaPlante. Rogers also reminded everyone that the next Veterans Collaborative Meeting is scheduled Thursday, April 19, from 1:30 to 3:30 p.m., in the Mineral Building at the Plumas-Sierra County Fairgrounds in Quincy.